Many people’s New Year’s resolutions involve losing weight, and they may be tempted to try one of the many dietary supplements marketed for weight loss, such as acai, hoodia, or garcinia cambogia. However, these supplements don’t work for keeping weight off, and some are dangerous. The FDA banned the sale of dietary supplements containing ephedra, which were marketed for weight loss, because of serious health risks, such as heart problems and even risk of death. Ephedra is also called ma huang. Many ephedra-free supplements are now being sold, but side effects of some of their ingredients are similar to those of the banned products. Some ephedra-free supplements also have a lot of caffeine or herbs, such as guarana, that contain caffeine. The products can cause increased heart rate and abnormal heart rhythms. 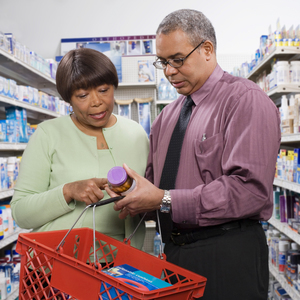 Be aware that what’s on the label of dietary supplements may not be what’s in the bottle. Analyses of supplements, including herbal supplements, sometimes find differences between labeled and actual ingredients. The U.S. Food and Drug Administration (FDA) has found weight-loss products tainted with prescription drug ingredients. Learn more about weight control and complementary health approaches.